Though it’s taken awhile for Kevin and I to actually realize this phenomenon, while traveling as we are, we have noticed that we need a “break” every two months or so in order to reboot and keep enjoying life on the road. We haven’t really noticed it before because we have been pressing pause naturally in a variety of ways. Between my time in long term home stays in India and working at a children’s home in Nepal, to working multiple weeks in Georgia, and backpacking with my brother and friend in Turkey (mind you a month off the bike there was a wee bit too long), Kevin and I usually end up taking some sort of non-cycling week/month every so often just because something falls into our lap. Now though, it’s been two months and two thousand kilometers of non stop action and though we both feel that we are ready for a reboot, it’s easier said than done down here as we haven’t found anywhere to work, and at forty bucks a night, we can’t exactly just find a town to live in for a few weeks either. It’s sort of hard to explain, the need for a sort of vacation in what most people think of as a lifestyle of vacation, but I also think it’s extremely important for anyone trying to travel long term to understand because at some point or another you simply get burned out. Once the beautiful mountain in front of you turns into just another peak, and once the idea of pedaling tomorrow morning begins to loose its appeal, it’s definitely worth it to take a step back and find yourself some sort of home or project for a week or a month, or until you feel like being out on the road again is actually where you most want to be. For Kevin and I it’s difficult weeks – be it for any reason but in this case because of the incessant rain – which trigger this sort of travellogged (like waterlogged, basically drenched in travel) feeling after about two months of constant movement, and since we haven’t found anywhere to settle in for a bit and reset, we have been indulging in small comforts along the way in order to keep our spirits up and keep seeing Patagonia through new and excited eyes. For instance a few nights ago we ended up getting a hotel room (which meant lots of Netflix and cookies in bed) and then after cycling all day in the pouring rain, we stayed at a “camping” which we deemed worth the money as the owner allowed us to escape the rain – which didn’t stop for a single second all evening or night – by sleeping indoors on the floor. By avoiding the rain at night we have been able to enjoy the ride even through the pouring rain as we knew that being soaked was not a permanent condition. Even nearly two years in we are still trying to figure out how to make this lifestyle more sustainable, and it seems like, at least for the moment as we can’t find work or a good place to take a week or two off, the key to our current happiness may be simply staying dry. 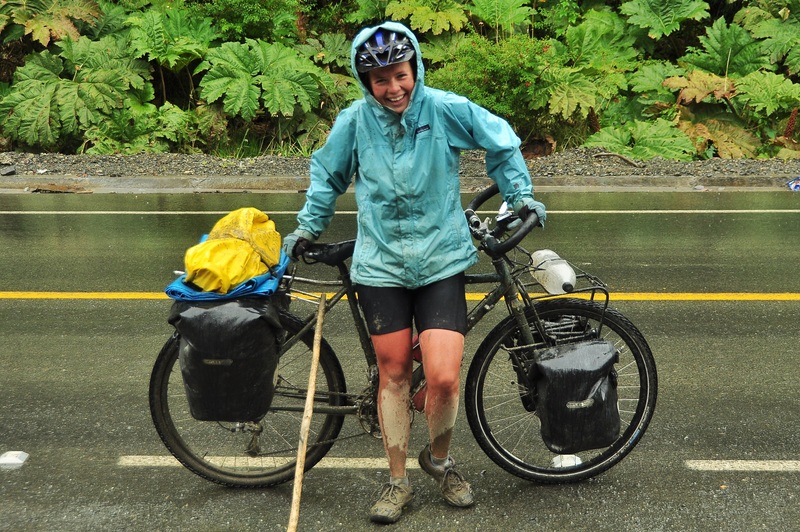 Rain and mud can actually be a lot of fun as long as you have somewhere dry and warm to go at night. 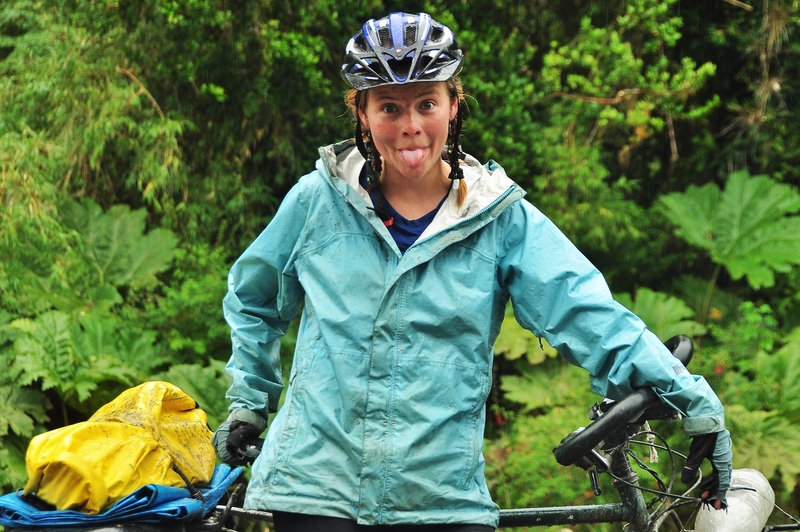 This entry was posted in Chile, Patagonia and tagged break in travel, cycle around the world, long term travel, Too much travel, travel fatigue by The Wandering Nomads. Bookmark the permalink. Where’s your handle bar bag ? Great post!! I completely understand where you are coming from with this one!! Many years ago I thru hiked the Appalachian Trail and the worst section was definitely 8 days straight of torrential downpours day and night. There is something just miserable about having to put on cold wet clothes and boots every morning with no end in sight. But I have such an incredibly deep appreciation for hot water and dry clothes now, even seven years later!! 🙂 I have been traveling in Chile with my husband for six months and while we have had so many incredible experiences surfing and climbing and experiencing these wild places, we have essentially been on the “road” for nearly 12 months and last night was the first night in those 12 months that we actually felt the luxury of privacy (our own bathroom, kitchen, space) since we are house sitting for a friend for a few weeks. 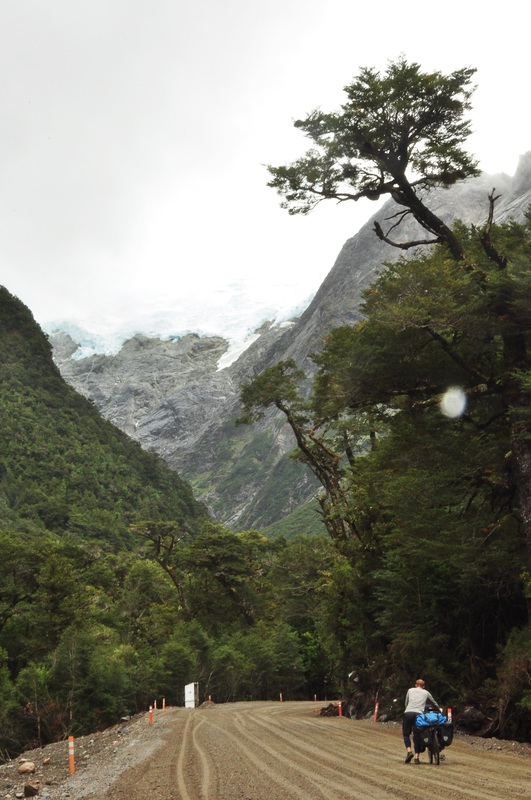 Anyway- have loved following your journey along the Carretera Austral- I have my eye to do the entire route on horseback this December, so it is great to see all the photos as well as hear about the experience of living out in those elements. Although I spent 152 sleeping outside walking 2,178 miles of the AT for five months, I have spent enough time in Chile to know that the weather down here is a whole other animal!! Keep going, thinking of you guys and hoping for clear beautiful days and smooth tracks! Thanks for the message! Horseback would be really neat, I want to hear all about it if you end up doing it!! Yesterday we had our first day of sun, and so we took advantage of it and did all of our laundry. Of course an hour later it clouded back over and so now we are hiding in a shelter with bags of wet (but clean) clothes. Though you would appreciate this. Hi Shirine! I stumbled across your blog a little bit ago while looking for travel blogs to read and have been following your adventures for a while. What an incredible journey you are on! I definitely understand what you are saying in this post though–taking a break now and again can be vital! Also, this is super random, but I saw your facebook page and noticed many of my friends “like” it. Turns out we are both SEHS grads. Small world, isn’t it? No way! That’s so funny, great to hear from you! hey Shirine and Kevin – have been following you for about a year. Have just returned from a couple of weeks local touring with our 3 younger children (15,13,6). I see your choice to travel not as a lifestyle but as a part of a genuinely engaged life. But your question about sustaining a life of physical exploration is one I continue to wrestle with. We have had the good fortune to live (and travel) for extended periods in Europe, the US, Canada and Australia. I have also travelled briefly in SE Asia. At this point in our lives (Tania and I are 47) we have two attractive options. Continue to build on our vision of a sustainable localised life (we farm and are heavily enmeshed in our local community) or sell everything and take to the road again as a family. Our motivations are simpicity, sufficiency and sustainability as a foundation for geniune engagement with the wonder of existence through mindfulness. We are creatures compelled to habit yet we live in a world that is constantly changing and we are in a constant state of flux ourselves. I suspect it is in the essential tension between our perpetually ossifying sense of ‘I’ and the inexorable flow of life that the the opportunity for a sufficient, sustainable and fulfilling life exists. That is not to say that “new landscapes” are not wonderful and thing to experience, just that without the inner journey that liberates our “new eyes” , seeking more “new landscapes” can be just another habit. I suspect you know all this (and a lot more)- just wanted to write it because you touched a nerve and articulating helps me! You are an inspiration to our whole family. Thank you for this message! I totally agree, that it’s all about seeing things with new eyes. I think that’s a big reason why Kevin and I are excited to return to Oregon, because we will definitely be exploring it with new eyes! Also, it’s great to hear that you guys are touring with kids because Kevin and I look forward to doing that as well!